We’re getting well into January, so I suppose it’s time to wrap up my holiday dinner series. This final post covers three sides – creamy dill mashed potatoes, red and green cabbage and roasted cauliflower and broccoflower. These sides are all fairly easy to make, which is a nice workload balance in the kitchen when working on more involved dishes (like the cornish hens and homemade stuffing from this meal). We probably didn’t need this many sides, but it was fun to put out a large spread of food, and I have a hard time making choices when it comes to cooking, so I made all three sides instead of trying to choose. So, pick one, pick two or make all three – whatever you decide, your family will enjoy these sides with any meal! Peel and slice about 2 lbs of golden potatoes, or whatever quantity you need for your specific meal. I use slices about 1/4″ thick so they cook quickly and absorb as much flavor as possible while cooking. 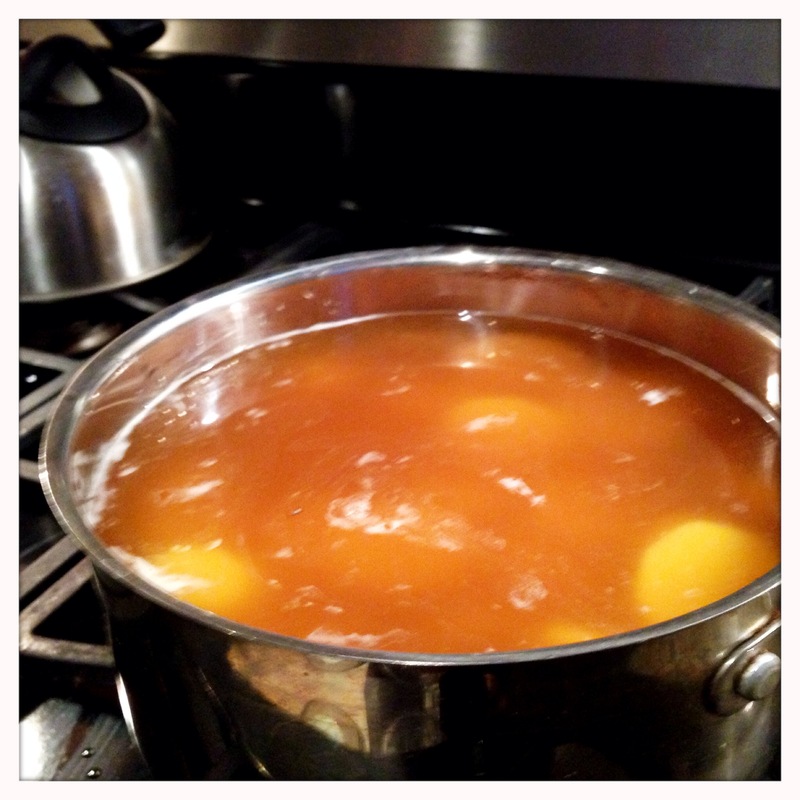 Place the potatoes into a pot and cover with the chicken stock. If using unsalted stock, add a little salt to the pot. Add water to the pot until you have enough fluid to cover the potatoes. Put the pot over a high flame and bring to a boil. Let the potatoes boil until they are fork tender, about 20 minutes. Once the potatoes are cooked, strain them in a colander and return the potatoes quickly to the pot while it’s still hot (do not rinse the pot). 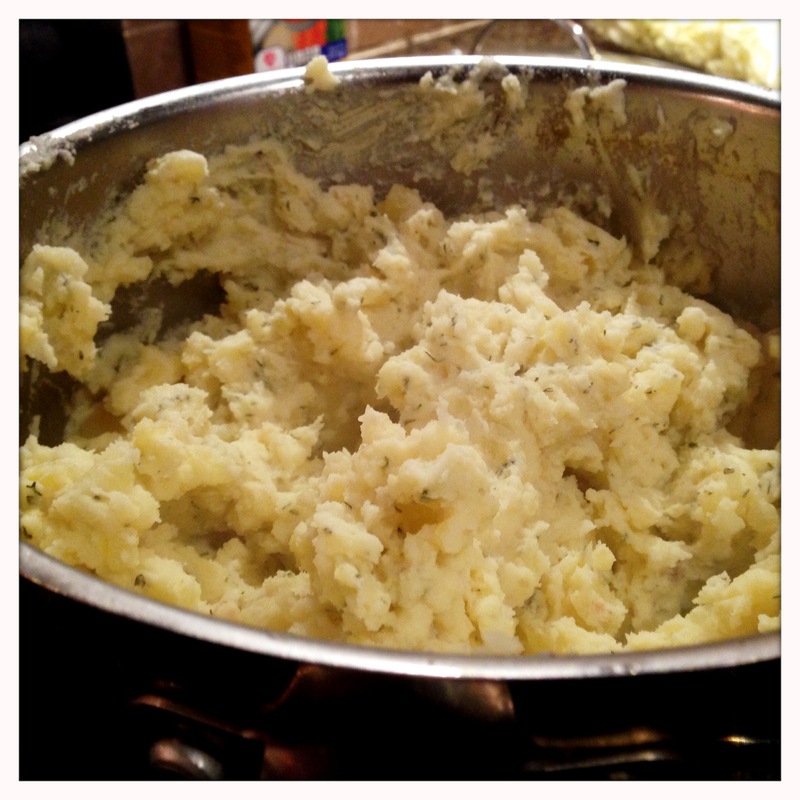 Add the butter and a splash of milk/cream if you like and start to mash with a hand masher. Then add about 2-4 oz of the dill dip, and mash until the dip is thoroughly combined. 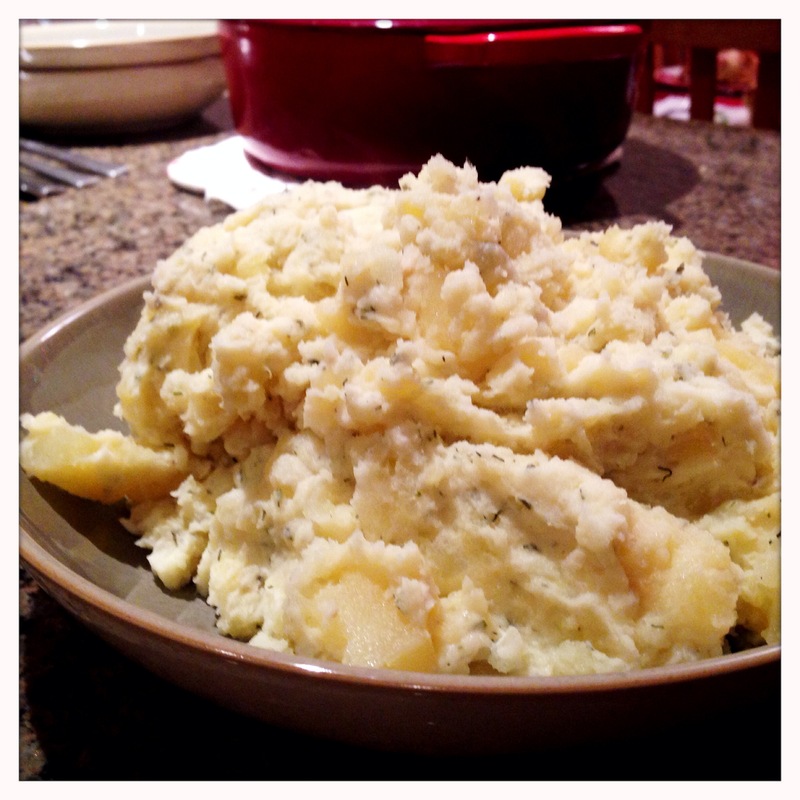 After mashing in the dill dip, taste the potatoes. Continue to add the dip a few ounces at a time until you reach the flavor and consistency you like. I used about 6 oz in mine, but you could easily do more or less to your individual taste. I’m not really breaking new ground with this one since I’ve already done this recipe a bunch of times on this blog, but the broccoflower was a new addition, so I’ll make this part of the post brief. After cutting the cauliflower and broccoflower into small florets, place them in a zip top bag with olive oil and shake to coat the florets. Spread them on a baking sheet and dust with salt, black pepper and smoked paprika. Depending on the temperature your oven is set at for the rest of your meal, these should cook in 20-30 minutes. You’ll be closer to 20 minutes at 400-425 degrees and closer to 30 minutes in the 350-375 range. Once they start to lightly brown, you know they’re ready to go. I do these last since they cool very quickly once they come out of the oven. 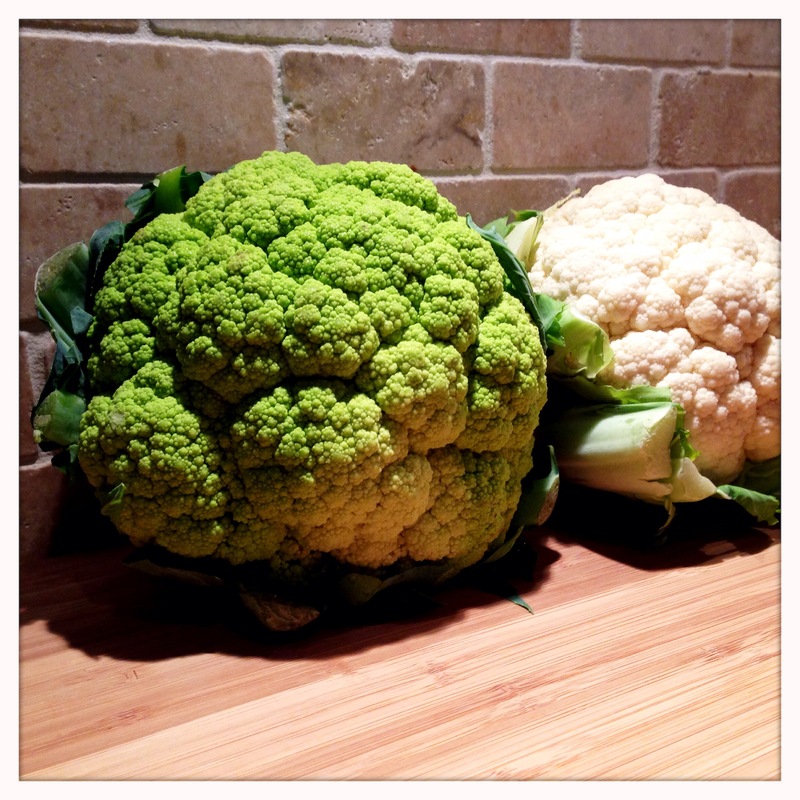 For the full roasted cauliflower post, click here. 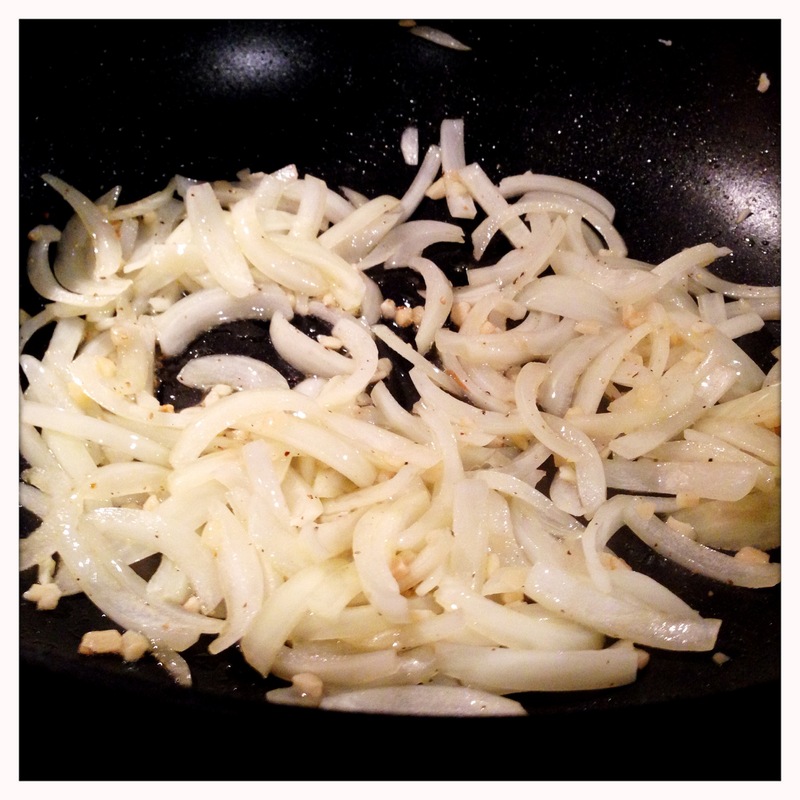 Heat a little olive oil in a pan and saute the onions until they start to soften. Add the garlic, and season with a little salt and pepper to taste. 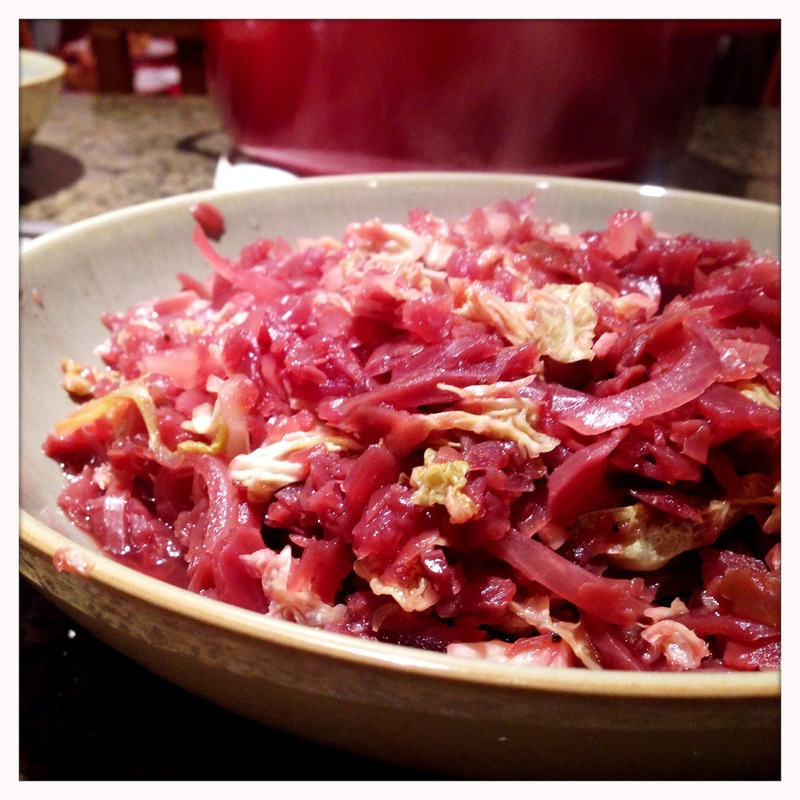 Once the onions and garlic are soft, add the red cabbage. 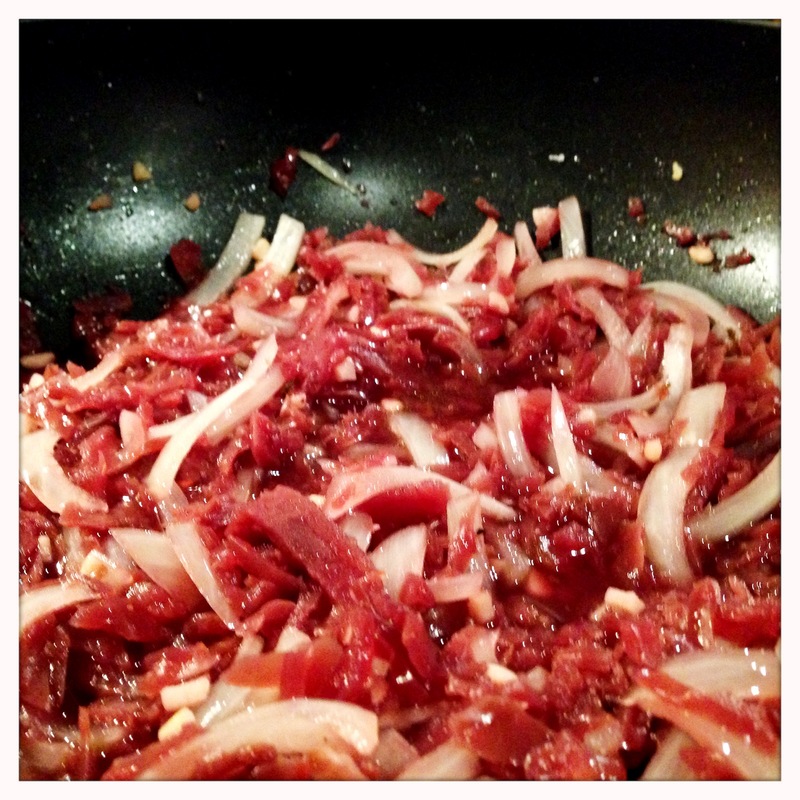 And stir to distribute the onions and thoroughly warm the red cabbage. Next, add the savoy cabbage in small handfuls, stirring as you add it. The cabbage will start to wilt as it warms, which will reduce the amount of space it takes in the pan. Keep adding the savoy cabbage until you have a roughly equal amount of red and green cabbage. Add 1 Tbsp of cider vinegar and a little more salt and pepper to taste. Continue to stir until the savoy cabbage has softened, but still has some texture left. 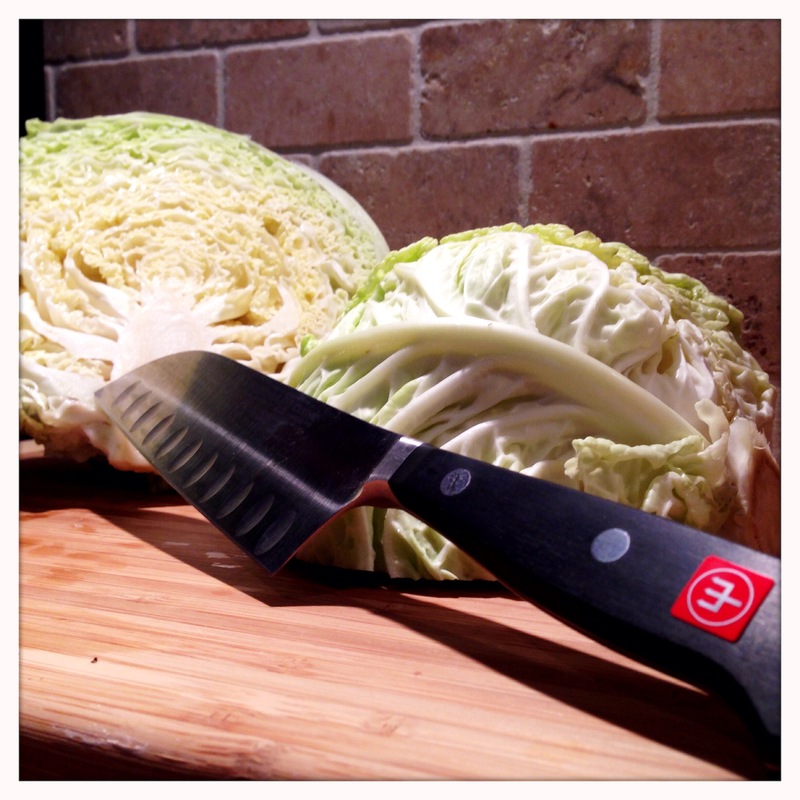 The purpose of the savoy cabbage is to add a little firmness to an otherwise fairly mushy dish. It also takes the edge off the sweetness of prepared red cabbage. Taste the cabbage, and add a little more cider vinegar and/or salt if it’s too sweet. Once you’re happy with the flavor, put it in a serving bowl, and enjoy! Well, here we are, a little over two weeks after Christmas, and I finally got my entire meal posted. I admit, I may have bitten off a little more than I could chew with the amount of dishes I tried to make, and I may scale back next year. 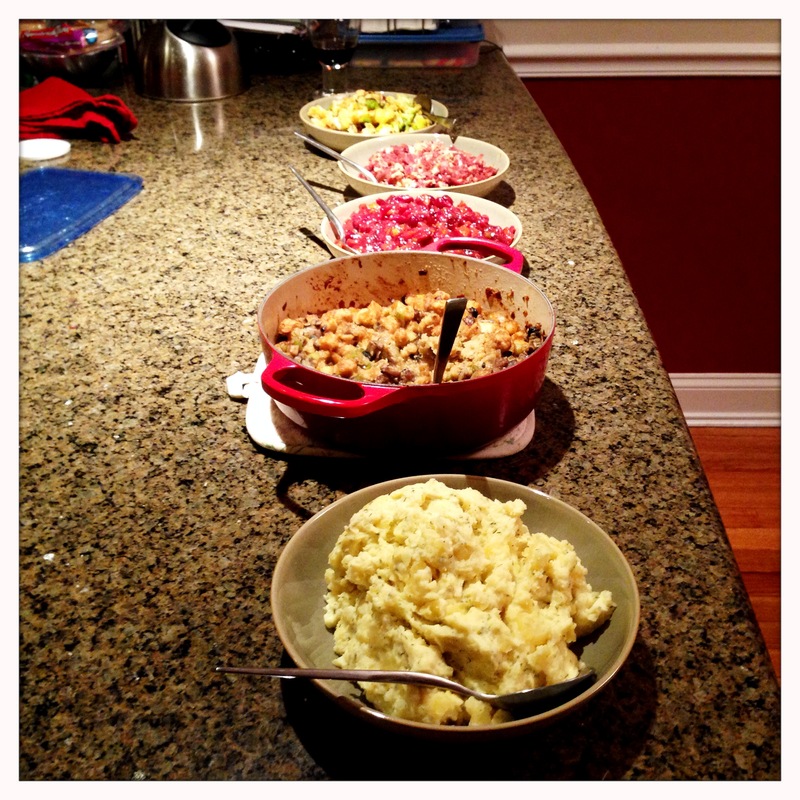 But, I had a lot of fun making each of these dishes, and if you choose one, a few or all of them for your next holiday gathering, I am certain your family will appreciate your efforts and enjoy the meal greatly. Hope your holidays were joyous, thanks for reading, and Enjoy!